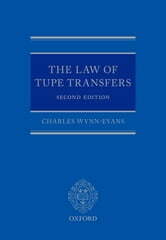 The UK's transfer of undertakings legislation - TUPE - is of immense practical, commercial, and financial significance to employers and employees in both the public and private sectors, yet it is also one of the most notoriously complex and unpredictable areas of employment law. It is an area which has seen regular and significant developments not just in the case law but also as a result of the amendments intorduced by the 2014 The Collective Redundancies and Transfer of Undertakings (Protection of Employment) Regulations which significantly changed a number of aspects of the legislation. 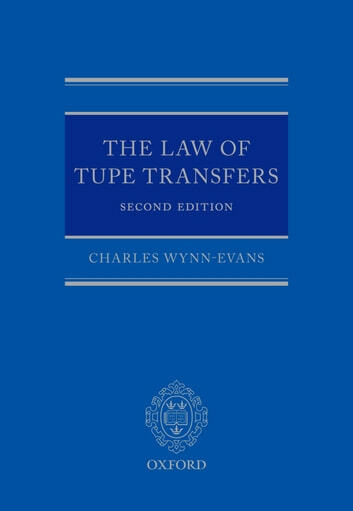 This new edition of The Law of TUPE Transfers gives a concise yet comprehensive examination of all aspects of TUPE, covering issues such as when the regulations apply, the legal effects of a transfer, the information and consultation requirements of the legislation, and claims arising from transfer related dismissals, as well as examining the impact of the various amendments made by the 2014 amendment regulation.